We're keeping busy over here. So busy I haven't had time to blog. 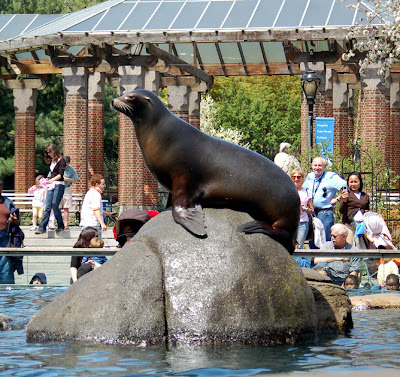 Today's agenda included an urban safari to the Central Park Zoo, where we witnessed the speeding penguins (Tsia kept trilling about airplanes flying, so I guess we know what they reminded her of), the antics of the sea lions, and the polar bear viewing his viewers. What a treat, with such a lovely day! I've been occupied with writing instructions for the backpack pattern and making corrections to the pattern itself, since many of you are also patiently waiting for it to be available (and the class starts tomorrow). We goofed off a bit this weekend as well: discovered 30 Rock and Weeds, both of which proved to be great late-night amusement for all that hexagon piecing and a few other attempts at piecing which I'll show you soon. But I'll try to improve my blog attendance, and I'm planning to show you a few sample bags I'll be selling on Etsy, if anyone is interested. Gotta test the patterns as I go, and there's no better way to do that than to actually sew the bags. And if you're sewing the bags anyway, you might as well make them in cute fabric combinations, right? Mr./Ms. Polar Bear doesn't have an opinon on this matter. Isn't that bear just beautiful? I've just decided to take a trip to New York and Washington. I wish I could make it to a Purl Soho class! Wow, that polar bear shot (the first one) is amazing! Wish I could have seen that in person. Ooooh I love the Central Park Zoo. Those polar bears are darned cuted! Sigh. 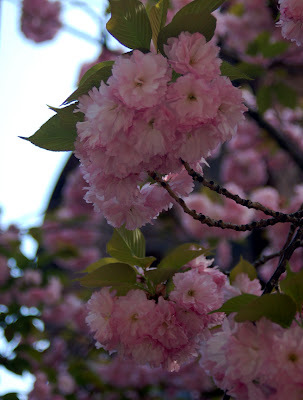 I really want to get back to the Big Apple. AFter seeing these pics, I wish now that I had come with you'all. My boy esp would have loved it. AND YES we want to see the bags!! The bear is just beautiful. I'd love to see the bags you're going to sell - I think sharing on blogs is a great way to get new ideas and to see new things. yes yes please! I'd love to see your bags on etsy! How strange. 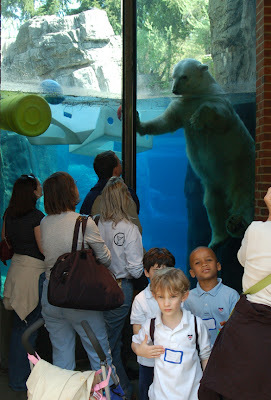 At first I thought you were at Indy Zoo because the polar bear area is almost identical. 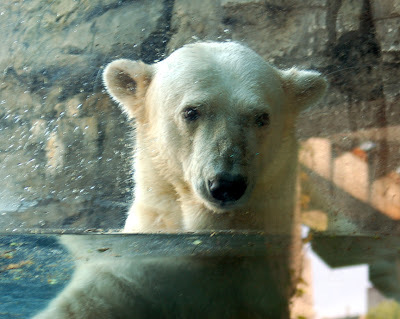 Your polar bear though is much younger and more curious.